The New York City Subway is currently the seventh busiest public transit system in the entire world. With more than 5 million riders on an average weekday, this transportation system is a necessity for New Yorkers and tourists alike. However, accidents are more common than you might think. 150 people get hit by trains every year and commuters are injured every day in trip and falls and other accidents related to mechanical or operator error. The New York Post even calls the subway the “biggest deathtrap” in the Big Apple! If you’ve been injured in an accident related to the NYC subway, you may be entitled to money for your injuries. 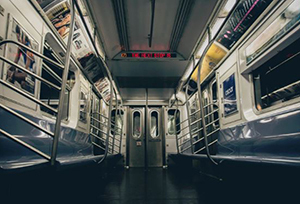 The New York Metropolitan Transportation Authority (MTA) and its operator, The New York City Transit Authority (NYCTA), are under legal obligation to protect the safety of their riders. Notify an Official: Immediately notify an employee or uniformed official of your injuries and the circumstances of your accident. Make sure to take down their name and contact information. Get Medical Attention: If you are injured, call 911 for an ambulance or go to the emergency room immediately. Otherwise, make an appointment with your physician as soon as possible. Even if your injuries seem minor, they may lead to long-term effects. Talk to Witnesses: Write down any witnesses’ name, phone number and any information they can provide to validate the accident and your injuries. Take Photos: Take photos and write down everything you can remember about the circumstances of your accident. Common examples include slippery floors, obstructed pathways or broken equipment. Seek Legal Advice: The NYC Transit Authority is responsible for all aspects of the subway system and may be liable for your accident. Contact an experienced attorney as soon as possible for a consultation. Absolute Legal Funding can provide money to help you pay for your monthly living expenses such as rent, food and utilities while you unable to work because of your injuries. We can also help you pay for the medical treatment you need when you do not have the insurance or financial resources to obtain it. Click here or call us at today at (888) 696-6449 to get started on your application. Absolute Legal FundingGeneralI Was Injured on a NYC Subway, Now What?